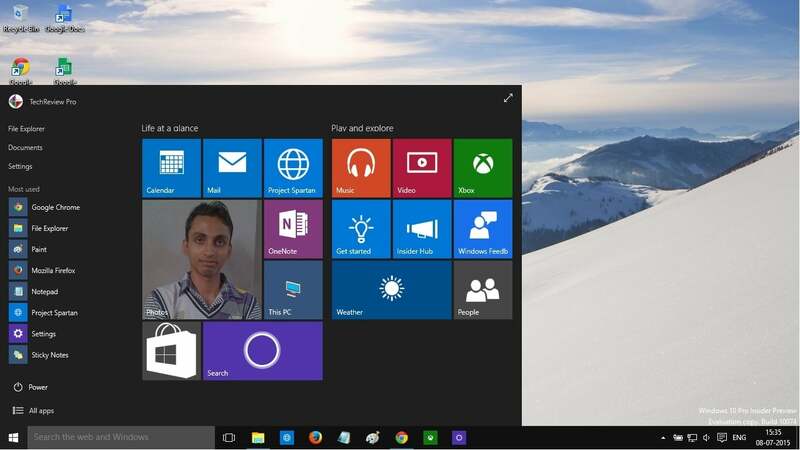 TechReviewPro Reveals 10 Secret Reasons Why Windows 10 is Free? TRP Reveals 10 Secret Reasons Why Windows 10 is Free? With the all news going around about the Microsoft’s Windows new version – Windows 10 and the Microsoft developers quite busy in providing it’s upcoming product the final touch before the official launch of Windows 10 on July 29, 2015, ever wondered why Windows 10 is free? Yes, Microsoft as per its promise, is ready to offer free Windows 10 upgrade to Windows 8.1 , Windows 7 users and almost all Windows PC. Though the rumors have spread that the free upgrade will be free for just 1-year as Microsoft will offer free subscription for 1 year to Windows users who have signed up for Windows 10 Insider program and after 1-year, you’ll have to pay subscription cost to continue. But here is official line : Windows 10 will be a free upgrade to existing Windows 7, Windows 8.1 and Windows Phone 8.1 devices that upgrade within a year of its release. This confirms that no matter whether you are Windows 8.1 user, Windows 7 user or any older version user – you’ll get a Get Windows 10 notification pop-up if you have Windows Update features enabled in control panel settings. Make sure you register your Windows PC for free Windows 10 upgrade so that you may get the upgrade earliest. However, if you are already using Windows 10 Technical Preview version then you’ll get Windows 10 upgrade on the same day of launching. Microsoft due to its free offering of brand new product, has gained lots of people attention recently. While people are appreciating Microsoft’s Giving-away attitude and wondering why Microsoft is willing to afford such huge loss by offering users free upgrade, we here at TechReviewPro reveal 10 secret reasons why Windows 10 is free ? And, despite keeping it free, how Microsoft will make money from it ? Before launching Windows 10, Microsoft has successfully launched earlier versions of Windows. So obviously, they know how long people wait to upgrade to the newer version because a very small percentage of Windows users upgrade when a new upgrade is available. Thus, if Microsoft has to get lots of active users for its new product then the most effective way is to offer free upgrade – that’s what we call smart marketing strategy. With rumors spreading out that Windows 10 would be the last software product by Microsoft, it is obvious that Microsoft wants all its existing customers as well as new customers on the same platform as it’ll be much easier for developers to focus on one major version to enhance security as well as improve all other features. Since every customer will be on same platform and developers will be focusing on one particular platform, so you’ll certainly see lots of new and powerful apps joining the Windows Store. Of course, some paid fancy apps will win your attention and that’s where Microsoft will start making money – something that Apple does very well with App store. With huge marketing experience, Microsoft knows that something that has worked earlier in marketing will continue to work in future also. That’s where Apple’s iTunes concept strikes their mind. Obviously, the result is availability of digital copies of movies, videos and music for download. So, whenever customer will buy any digital copy, Microsoft will be closer to get their free upgrade loss back. Since without a user account it would be tough to manage all activities including digital downloads and apps-purchases – so obviously Microsoft will get more active Outlook accounts. Don’t you think that offering free Windows 10 upgrade is a smart move to keep Outlook users active ? Microsoft has integrated OneDrive in the file explorer of Windows 10 which means it wants you to make addicted to using OneDrive. However, introducing OneDrive to new Windows users will certainly get more exposure for OneDrive. That means more OneDrive spaces would be sold and that’s how Microsoft will make more money from Windows 10. As you know Xbox music is a music streaming service for multi-platform including Windows, iOS, Android etc. – you don’t primarily need Xbox. So with Xbox music streaming integrated in Windows 10, every Windows user being on the same platform will know that Xbox music streaming is a monthly music subscription service. In other words, more exposure to Xbox music will increase revenue for Microsoft. It is worth noting that still a large percentage of old Windows versions users don’t know about Xbox. In recent few years Internet Explorer has been recognized as the weakest portion of Microsoft. Due to less frequent updates and not much new improved features, Internet Explorer has got many bad reviews from web surfers all around. With Windows 10, Microsoft is also introducing Microsoft Edge – the brand new web browser with many amazing features. This is clear indication that Microsoft wants to compete with Google’s Chrome browser’s popularity but making it available for everyone on the same platform (along with Windows phone users) is surely going to challenge supremacy of Google Chrome among top internet web browsers list. As you know, after innovative Apple Siri and Google Now, Microsoft made Cortona available for Windows phone users. Though Cortana is a powerful weapon for Microsoft to compete with Apple Siri and Google Now but by making it available for desktop users, Microsoft wants to prove their supremacy for bringing “Desktop Innovation“. Apple is basically a hardware company that gets a huge percentage of its earning from hardware products. In 2013, Apple started this free upgrade trend with Mavericks by gradually reducing the updates prices. While Microsoft is popularly known as a software company who builds excellent PC software. But after joining the smartphone market by launching Microsoft phone their focus is shifting towards hardware products. The new Microsoft Surface Pro Laptop is clear indication that Microsoft wants to make more money with Hardware products. That’s the reason why Microsoft is offering free Windows 10 updates – just like Apple did in 2013. No matter what rumors are spreading and what people are thinking, we at TechReviewPro understand that free Windows 10 upgrade offering is certainly a huge investment by Microsoft rather than loss and Microsoft is going to get huge return from their investment. This is the reason why Microsoft is also busy in developing custom ROM for Android users so that they can easily make a switch to enjoy Windows services on Android. What do you think about free Windows 10 upgrade offering ? Do let me know via comment section below. Previous: 9 Severe Health Problems Caused by Online Geek Lifestyle and How to Cure them?